 Early each fall semester, the College of Arts and Sciences solicits nominations from departments for its annual graduate student awards (one nominee per award per department). The recipients of these awards then become the College’s nominees for the University-wide awards sponsored annually by the Graduate School. Recipients of the Graduate School’s awards are usually announced early in the spring semester. For more information, including deadlines, criteria, and previous winners, go to https://graduate.ua.edu/current-students/graduate-student-awards/.